This is the story of one of the most important classical cities, Syracuse, and its struggles for freedom and survival. Situated at the heart of the Mediterranean, Syracuse was caught in the middle as Carthage, Pyrrhus of Epirus, Athens and then Rome battled to gain control of Sicily. The threat of expansionist enemies on all sides made for a tumultuous situation within the city, resulting in repeated coups that threw up a series of remarkable tyrants, such as Gelon, Timoleon and Dionysius. 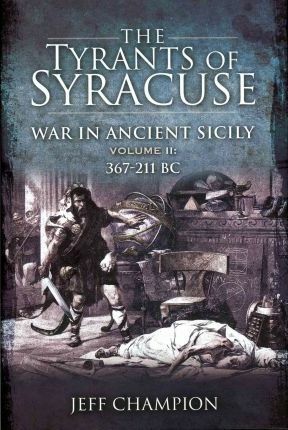 In this first volume Jeff Champion traces the course of Syracuse's wars under the tyrants from the Battle of Himera against the Carthaginians down to the death of Dionysius I, whose reign proved to be the high tide of the city's power and influence. One of the highlights along the way is the city's heroic resistance to, and eventual decisive defeat of, the Athenian expeditionary force that besieged them for over two years, an event with massive ramifications for the Greek world.